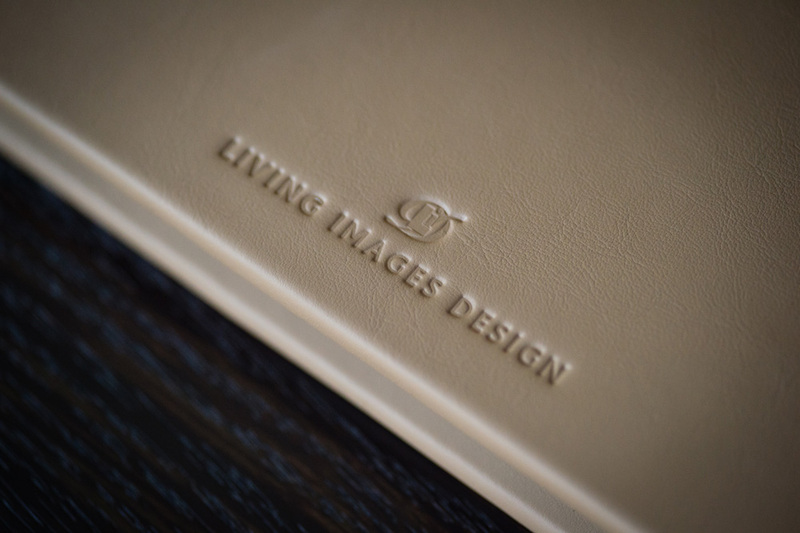 All our albums come in square format so that we can bring balance to your images whether portrait or landscape. Large Size 12” x 12” 30cm x 30cm includes 20 double page spreads. Medium Size 10” x 10” 25cm x 25cm includes 15 double page spreads. 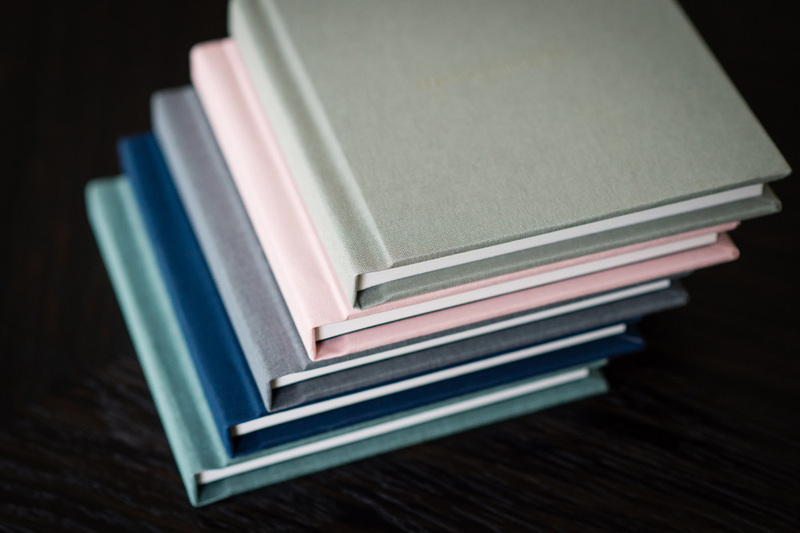 Small Size 8” x 8” 20cm x 20cm includes 15 double page spreads. Mini Duplicate Albums 6” x 6 ” 15cm x 15cm. A perfect gift for family or friends. Extra spreads at an extra cost are available to a maximum of 40. 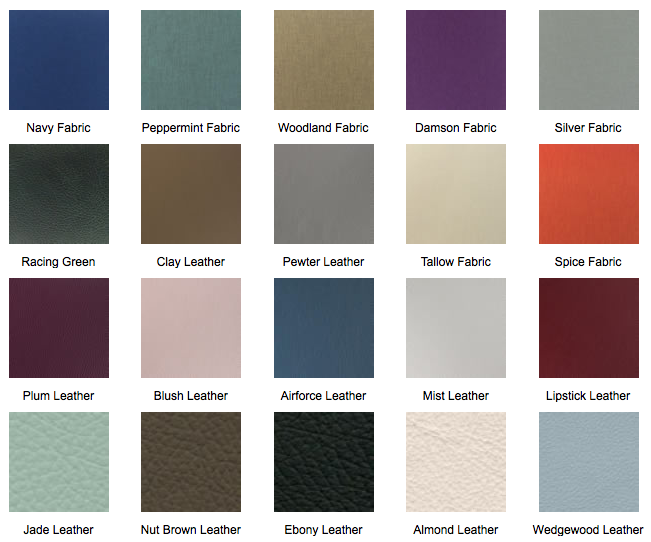 Choose from 2 covers Leather or Fabric. 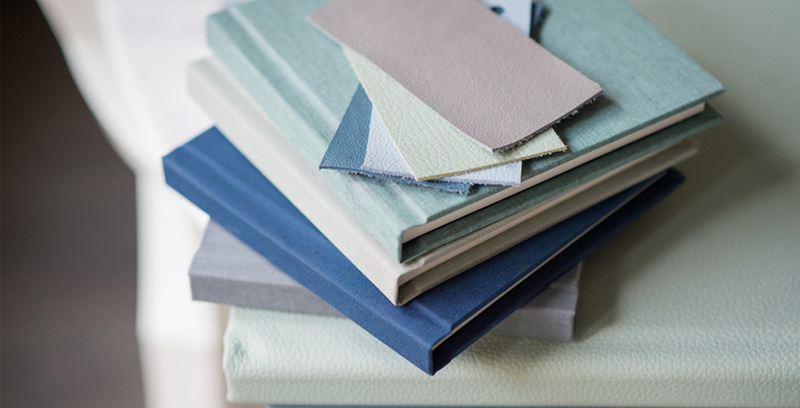 Adjacent images: a selection of our Colours & Finishes. Full colour swatches available on request. Can be blind embossed, foil stamped with gold or silver or printed with black or white ink. 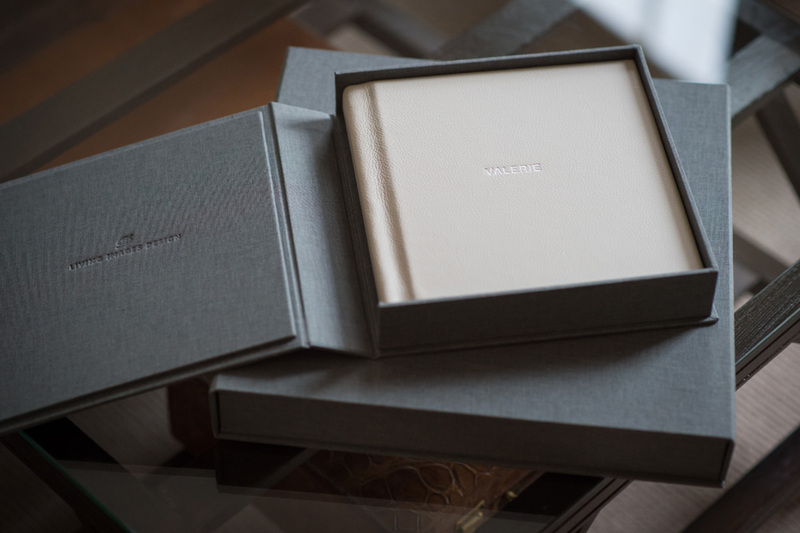 Also available are our beautiful fabric-covered Boxes with a hinged lid and a soft-close magnetic clasp. Prices do not include delivery and most of our books are zero rated for VAT.